32 anime images in gallery. 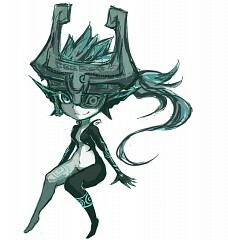 Tagged under Zelda no Densetsu, Zelda no Densetsu: Twilight Princess and Zelda Musou. 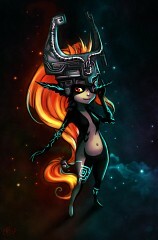 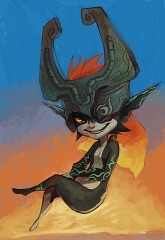 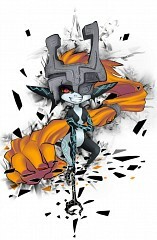 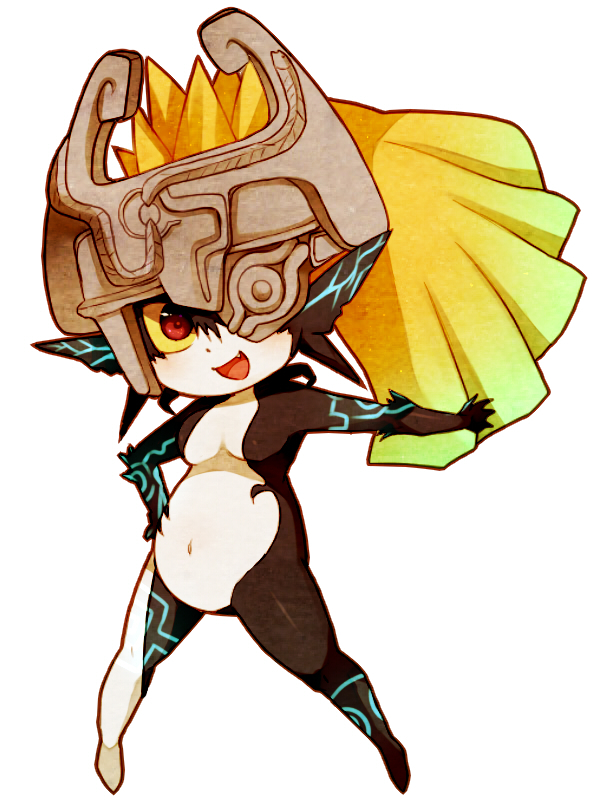 Midna (ミドナ Midona) is a character from The Legend of Zelda: Twilight Princess. 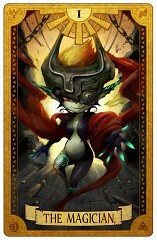 Midna, a Twili, teams up with the protagonist, Link, to battle a "greater evil" that she alone cannot overcome. 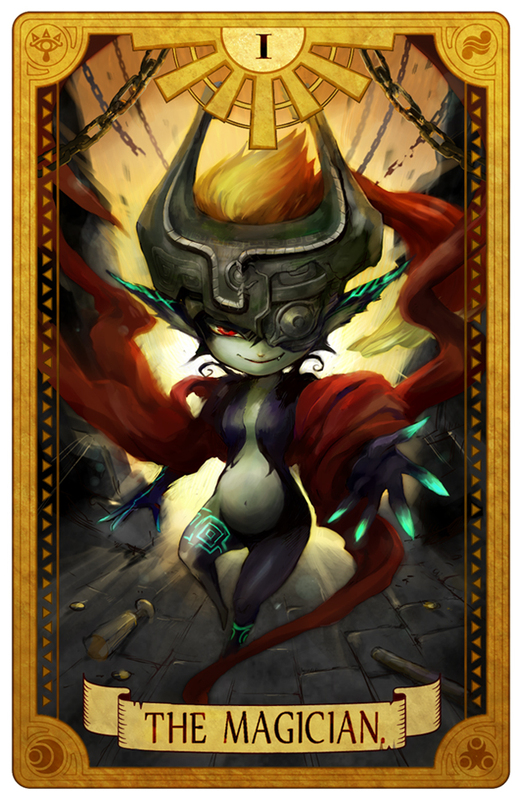 In fitting with her dark nature, she has a playfully mischievous sense of humor, and shows a somewhat cynical demeanor during most of the game. She also has some of the most extensive voice acting found in the series, as all of her dialogue is represented by audible (though unintelligible) vocalization. 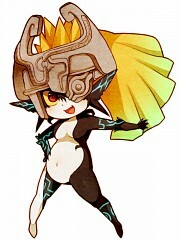 Midna's voice is provided by Akiko Koumoto. 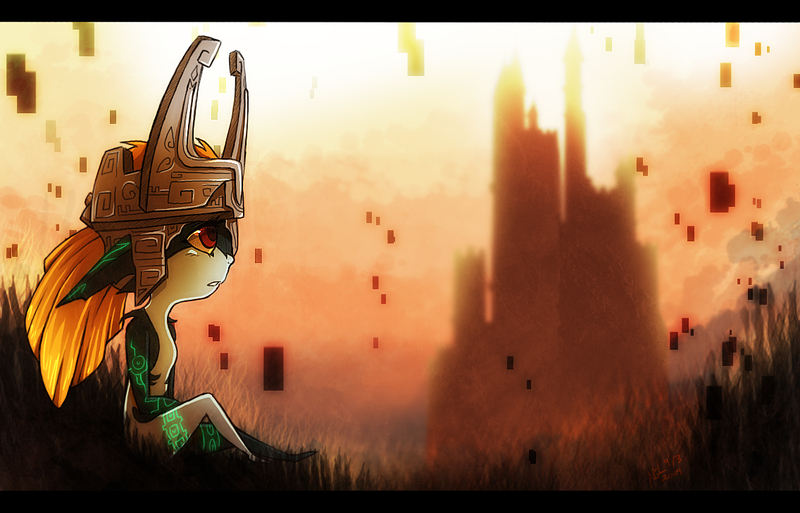 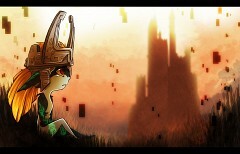 Midna, like all creatures from the Twilight Realm, cannot tolerate light. 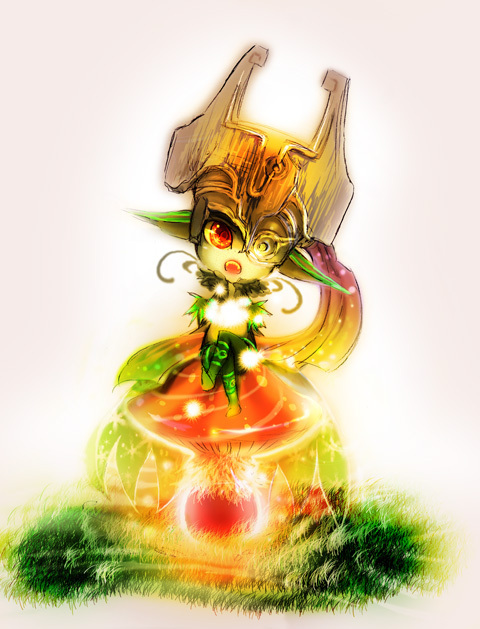 She hides in Link's shadow when he is in the Light World. 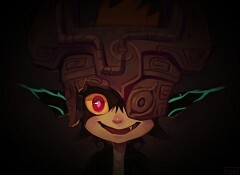 The only time she takes her physical form is when Link is in the Twilight. 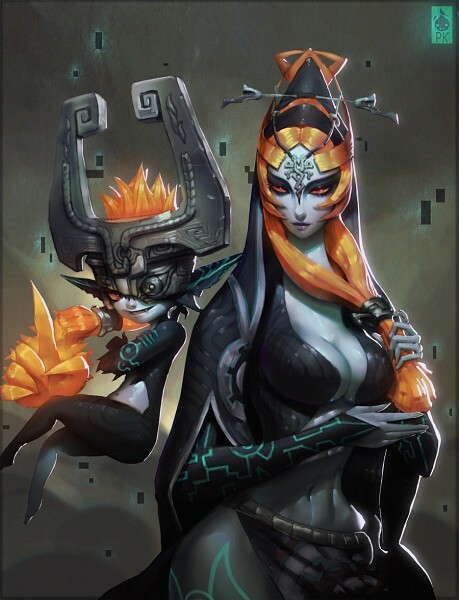 After being exposed to light during the game and later being healed from the resulting injury, Midna is able to take on her physical form even in the Light World, though she still chooses to remain in Link's shadow most of the time, telling him she wants to keep a 'low profile'. 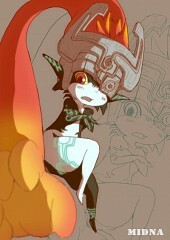 Zant also claims that Midna is incapable of consorting with light-dwellers.